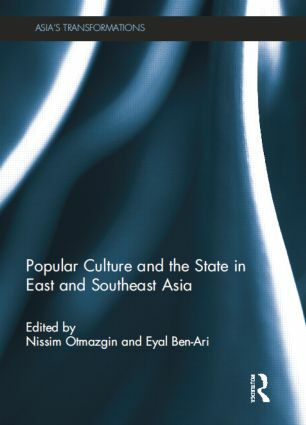 This volume examines the relations between popular culture production and export and the state in East and Southeast Asia including the urban centres and middle-classes of Taiwan, South Korea, Japan, Singapore, Indonesia, Malaysia, China, Thailand, and the Philippines. It addresses the shift in official thinking toward the role of popular culture in the political life of states brought about by the massive circulation of cultural commodities and the possibilities for attaining "soft power". In contrast to earlier studies, this volume pays particular attention to the role of states and cross-state cultural interactions in these processes. It is the first major attempt to look at these issues comparatively and to provide an important corrective to the limitations of existing scholarship on popular culture in Asia that have usually neglected its political aspects. As part of this move, the essays in this volume suggest a widening of disciplinary perspectives. Hitherto, the preponderance of relevant studies has been in cultural and media fields, anthropology or history. Here the contributors explicitly draw on other disciplinary perspectives – political science and international relations, political economy, law, and policy studies – to explore the complex interrelationships between the state, politics and economics, and popular culture. This book will be of interest to students and scholars of Asian culture, society and politics, the sociology of culture, political science and media studies.